I am so pleased to announce my new line of Memorial Jewelry – Handmade by Remember Me. There are many reasons I decided to move forward with this line of meaningful jewelry which includes Memorial Necklaces, Memorial Adjustable Bangle Bracelets, and Cremation Jewelry. Most of these items are packaged with a personal jewelry card and a beautiful gift box offering the perfect Memorial Gifts. My friend received this necklace yesterday and immediately put it on. She said it made her feel closer to her beloved pet. Thanks for sending this to her for me. I sent this to a friend who recently lost her mom very unexpectedly. She was so touched and kept remarking about how beautiful the bracelet was and how much it meant to her. Thank you so much for enabling me to send something so thoughtful! 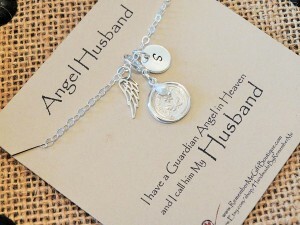 Ordered this for a friend whose husband died. Can’t wait to give it to her. Absolutely beautiful! I will definitely order from in the future. Pleasure to work with! Perfect gift for my sister who just lost her doggie. Super quick shipping! My friend who I bought this for loves it and wears it everyday! Exactly as expected, it is beautiful! Love it. The saying on the attached card is perfect! The gift was beautiful. The designer shipped immediately, and arrived today. Deb was very helpful and accommodating! She went above and beyond to make a special request even better. Questions were answered right away and so was the order. Shipped in a very timely manner and arrived before expected date. 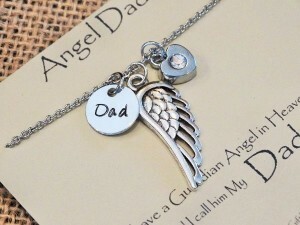 I bought this necklace for my best friend whose father recently passed away. Deb was very responsive when there was something strange going on with the shipment tracking. My friend loved the necklace and the card that came with it! It brought tears to her eyes, and I hope that she can continue to wear it as a memorial to her late father. As you can see by the above reviews (which are 100% authentic as monitored on Etsy), these memorial gifts touch the lives of many. Also, I love the idea that I am able to converse directly with my customers offering personalized service and compassion that is so important to me. Please take a moment to visit my Etsy shop at Handmade By Remember Me. What is behind the growing popularity of angel wings? 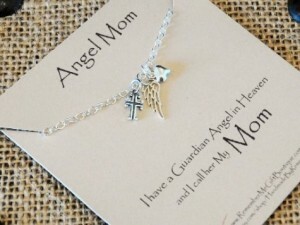 My customers just love any product that includes angels or angel wings, most specifically, our Memorial Jewelry. Curiosity got the best of me, so I did a bit of research and would like to share my findings. Angel Wings actually represent many different things to each individual, depending on their religious or spiritual beliefs. 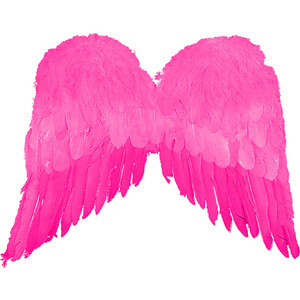 Many people haven’t given it much thought, they just love the comfort that these angel wings represent. Basically, angel wings represent a variety of feelings not limited to love, hope, and protection. Some believe that an Angel Wings represent their Guardian Angel. These guardian angels can take on different forms depending on one’s belief. A guardian angel can be assigned to protect and guide an individual. Angel wings can also symbolize the way God covers and protects all the things he has created on earth. But in my heart you will always stay. Feel your love in the gentle breeze. I will hold you close. Lastly, many people simply believe that their loved one that passed away is his/her own Angel in Heaven. The angel wing represents this person now living in heaven among other angels. Many wear this Memorial Jewelry in remembrance of their loved ones.